Our food state GTF Chromium is made from a species of broccoli that has been hydroponically grown in a chromium-rich environment. It is better absorbed & longer retained than isolated chromium. Suggested dose is 1 capsule daily, so this is a 2 month supply. GTF chromium (Glucose Tolerance Factor Chromium) is now being recognised as important in the maintenance of normal blood glucose levels. It helps to metabolise carbohydrates, fats and protein, as it enhances the action of insulin, your body’s fat storage hormone. 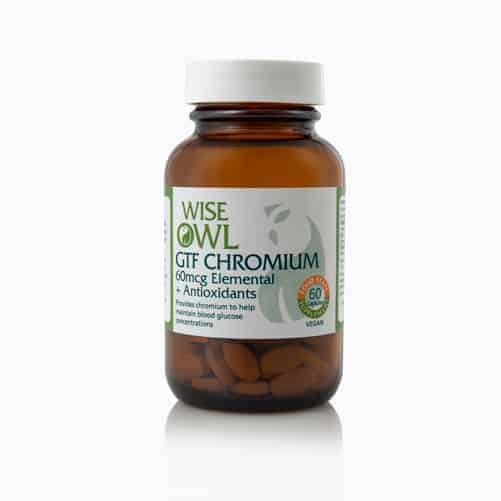 Our GTF Chromium is better absorbed & longer retained than isolated chromium. It is made from a species of brassica (the broccoli family) that has been hydroponically grown in a chromium rich environment. As such it is a whole food form of the mineral with high bio-availability. The addition of antioxidants in the form may help to prevent or impede cell oxidation (destruction) by free radicals. GTF Chromium and Antioxidants supplement helps to metabolise carbohydrates, fats and protein, as it enhances the action of insulin, your body's fat storage hormone. It also helps to regulate blood sugar, reduce food cravings and may help increase lean muscle mass. It also supports immune function by reducing cortisol levels and increasing immunoglobulin levels, which is beneficial when dealing with physical and emotional stress or fighting infection. It also contains the antioxidants in the form of Vitamin C, Vitamin E, Selenium and Zinc to help fight free radicals and boost levels of these vital nutrients. Our GTF Chromium is better absorbed and longer retained than isolated chromium. Our Chromium and Antioxidants supplement is made from a species of brassica (the broccoli family) that has been hydroponically grown in a chromium rich environment. 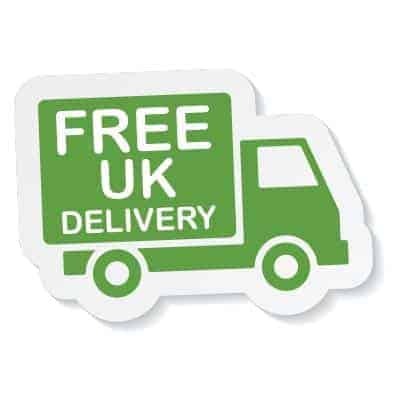 As such it is a wholefood form of the mineral with high bio-availability and is in gluten-free capsules with 60mcg of GTF Chromium per capsule. What other ways can GFT Chromium help you? Recommended Intake: One caspsule daily as a food supplement or as directed by a practitioner. Contraindications: None, although insulin dependent diabetics are advised to seek medical advice before supplementing with GTF chromium, as the supplement might alter their insulin requirements. NRV = Nutrient Reference Value *** Aplha tocopherol equivalents Energy, protein, carbohydrate & fat content negligible.